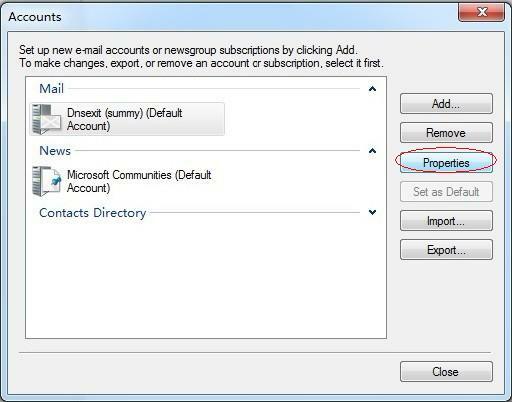 To assist our users in using our Mail Relay Outbound service, this document describe the precedures on how to connfigure Windows Live Mail - SMTP Authentication Configuration to work with the service at DnsExit.com. 5. 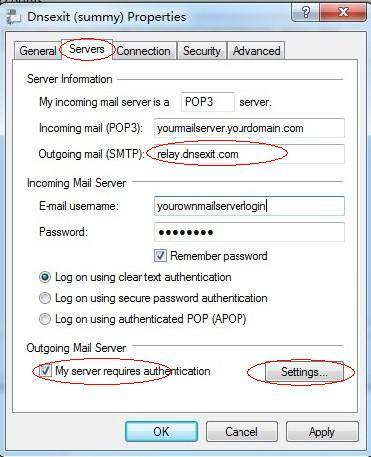 Click on Settings button to bring up Outgoing Mail Server Accout setup window. Check on Log on using and enter your account login name and password. Check the Remember password so thay you won't be asked for login repeatly. 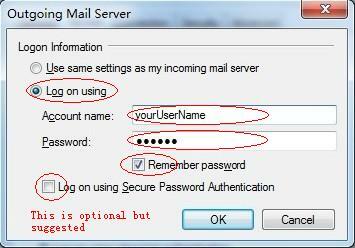 The Log on using Secure Password Authentication is optional but suggested. 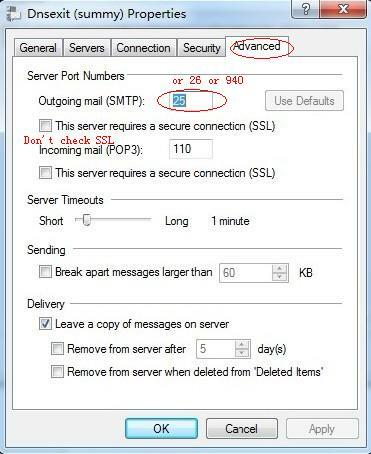 • Under Outgoing server (SMTP) enter Server Port Number value to 25, 26, or 940. If your ISP does not block port 25, you should better use 25. Be sure to leave This server requires a secure connection (SSL) unchecked. 7. Click Close and the e-mail should be set-up.